Shoulder-to shoulder taping; ribbed cuffs and collar, double-needle stitching on bottom hem, cover-seamed front neck. Slightly fitted. 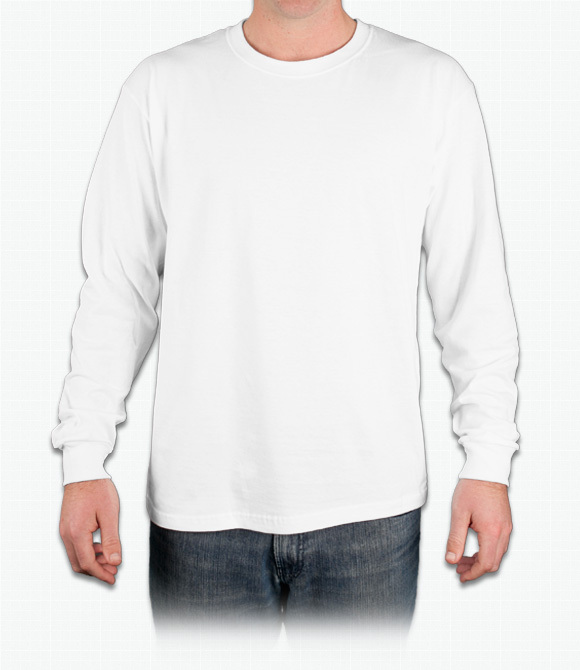 Great as a base layer in the fall and winter. High quality material with long-lasting durability. "I really really like the shirts but the back is really sticky... I'm releasing them this Wednesday because that's the release them for them "
"The size I ordered was a Medium and it fit perfectly to expectations. The sleeves and the weight of the fabric are very good quality." "The shirt itself is a good shirt. The execution of the of the back design print was not what we thought it would be."